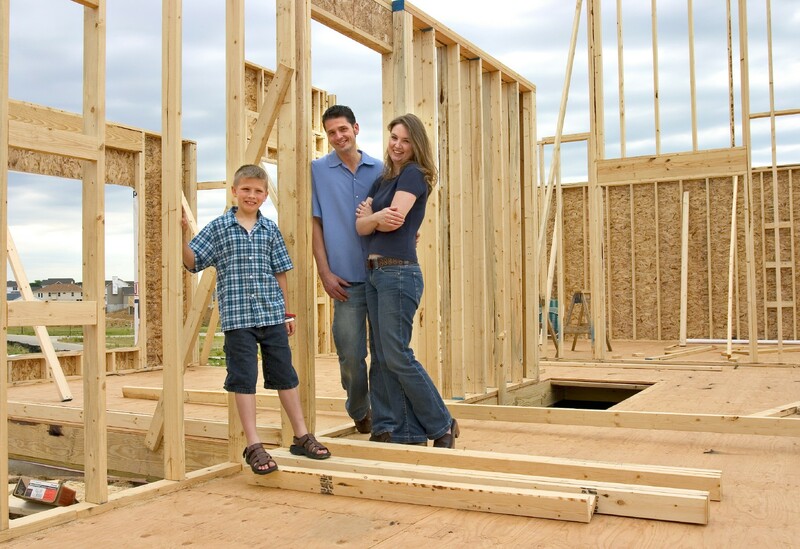 A construction loan is a widely used credit instrument that helps people build their own homes. Now, the process of building your own home can be highly rewarding—but also stressful and time-consuming. To boot, most people apply for home construction loans, which are, essentially, a special kind of mortgage. They’re a solution for people who don’t have the money upfront to ask a bank to lend them money for something that doesn’t yet exist. Read on for a cursory primer on construction loans! An ‘end loan’—taken out once construction has ended, to help you pay off the first loan. In a nutshell, you refinance the first loan through a more traditional type of mortgage, like a 30-year fixed rate. Property values might fall, also leaving both bank and debtor with an overvalued mortgaged home on their hands. Mandatory construction qualifications. Banks will usually only hand out a construction loan for a project that involves the participation of a licensed general contractor, who is a qualified builder. If you plan on being your own contractor, getting the loan might turn out tough. Detailed specifications. Most construction loans are awarded on the basis of a ‘blue book’, which includes every single technical specification of the home. This includes materials to be used, floor plans, ceiling heights, etc. Home value appraisal. The bank then asks a qualified appraiser evaluate your blue book, the value of the land, and similar homes (in comparable neighborhoods, with similar features, sizes, etc.). The estimated value of your home will be based on how it is predicted to match up against these comps. Massive down payment. Usually, a construction loan will require a down payment of around 20-25%. This is the banks’ way of protecting themselves against a defaulting owner and also stands as a guarantee that you will see the project through. Standard mortgage requirements. This means the bank will look at your current home value, income level, and credit score. If you do receive a construction loan, you will receive a schedule according to which you can withdraw money from the total amount on loan. These are called draws—their number and scheduling is mutually agreed between the debtor and lender. For instance, you get the first 10% (from your own down payment) at closing, then another 10% after the lot is cleared and you’ve poured the foundation. The next installment might come after the home has been framed, the next one after it’s been roofed and sealed, and so on. Most banks will require an inspection of the project before each draw. After all the draws have been made and construction completed, you need to apply for the end loan. As for the interest rate, this is typically variable and set at a spread to the prime. On a loan with a 3% prime, the rate might be prime+1, which would make it 4% (to be subsequently adjusted). A more advantageous type of construction loan is the interest-only loan. In such a case, you’d only be paying interest with no principal payback payments—and only for whatever amount has already been drawn. What if you don’t complete the construction on schedule? Can you afford rent? What about two mortgages? What if you need to pay a loan extension fee for the final payment of your construction loan (at least till you can refinance into the end-loan)? What if the built home costs less than the actual construction process? Do you have the extra money you will need, when it comes down to refinancing the construction loan? What if you no longer qualify for an end loan? Construction loans are not permanent—rather, they are balloon mortgages. If you don’t get an extension from your lender, you might find yourself forced to foreclose the loan.